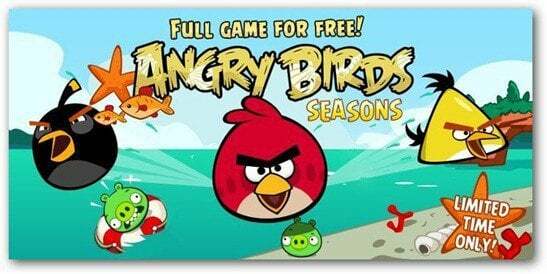 Angry Birds Seasons is free this week for the iPad and iPhone. Here’s the details. If you’re an Angry Birds fan and you don’t have Angry Birds Seasons yet, you’ll be happy to hear that you can get it for free this week. Only available for the iPad or iPhone, the offer is only good this week according to the post on the Angry Birds Facebook page, so you’d better fly over there now and grab it (sorry… couldn’t resist). Here’s the links: iPhone, and iPad. Don’t Know What the Heck the Higgs Boson Is? Watch More Cartoons.